One afternoon in the winter of 2008 I fast-walked across a frozen landscape to our town’s art cinema on the edge of the campus where I worked. I snuggled down in my seat in the dark empty theatre, still wearing my black overcoat, having just finished teaching, and watched with growing amazement Synecdoche, New York. It had premiered at Cannes in May, and had made it finally to our wintry corner in Appalachian Ohio. The script by Charlie Kaufman and the performance of Philip Seymour Hoffman were equally astounding—like nothing I’d ever seen on film or dreamed of seeing. The film’s plot is at first easy to follow. Hoffman plays a theatre director whose genius and ambition far outstrip his paltry achievements; his wife is an artist whose paintings are, in significant contrast, such miniaturized images that they require special glasses to view. Though he loses his wife, who takes his daughter to Berlin and becomes famous, he wins a MacArthur genius grant, and with it enough rope to hang himself. He pours his money and life into a vast warehouse set that’s peopled with actors who endlessly portray aspects of his past as he ages and disintegrates. The film gets weird and challenging—and achieves its freakish glory—as the lines blur between his artistic vision and his nonlinear inner life. The pair make a Jungian collage, or an incomprehensible mess, depending on how you experience it. It took my breath away. After classes the next day, I ran right back and watched it again. Synecdoche is about the slippery nature of memory, gender, and identity under the pressures of aging, illness, and artistic creation. For now we’ll leave me there, in the theatre, with my vow to watch the film a third time—if not the next day then that weekend with my son. In 1997, not long after I’d gone to work for Ohio University Press, we reissued The Wound and the Bow: Seven Studies in Literature. Edmund Wilson’s essays involve “the delicate theme of the relation between art and suffering,” as Janet Groth puts it in her Introduction. The victim of a malodorous disease which renders him abhorrent to society and periodically degrades him and makes him helpless is also the master of a superhuman art which everybody has to respect and which the normal man finds he needs. . . . It is in the nature of things—of this world where the divine and the human fuse—that they cannot have the irresistible weapon without its loathsome owner, who upsets the processes of normal life by his curses and his cries, and who in any case refuses to work for men who have exiled him from their fellowship. . . .
How then is the gulf to be got over between the ineffective plight of the bowman and his proper use of his bow, between his ignominy and his destined glory? Only by the intervention of one who is guileless enough and human enough to treat him, not as a monster, nor yet as a mere magical property which is wanted for accomplishing some end, but simply as another man, whose sufferings elicit his sympathy and whose courage and pride he admires. 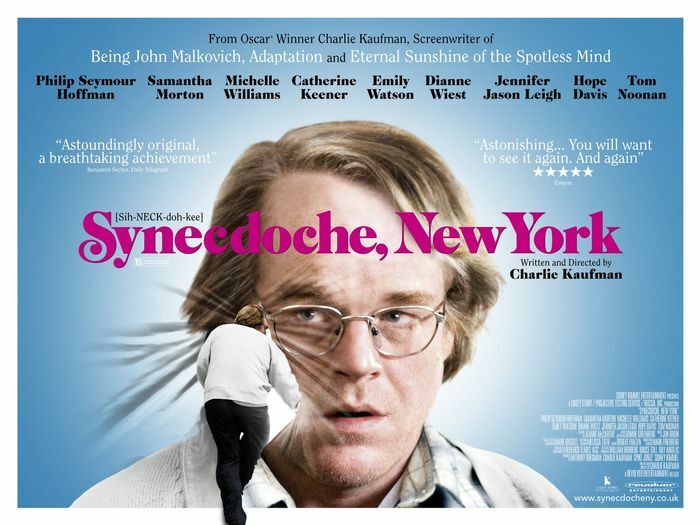 About the time I watched Synecdoche, New York my students were writing memoir essays. One boy was depicting his suicide attempt. He’d been on a football scholarship at another school and had gotten injured, and then his girlfriend back home dumped him. Impulsively he swallowed all his pain pills. His roommate called medics in time. In the same class was a girl torn up because her father wouldn’t attend church. She and her mother and her sister would dress up, go to mass every Sunday, and then visit a deli for savory treats; but that was Dad’s morning for his garden. His sensitive daughter grieved because of her family’s lost communion, the rightness he’d denied himself and them. When I saw All My Sons, I was changed—permanently changed—by that experience. It was like a miracle to me. But that deep kind of love comes at a price: for me, acting is torturous, and it’s torturous because you know it’s a beautiful thing. I was young once, and I said, That’s beautiful and I want that. Wanting it is easy, but trying to be great—well, that’s absolutely torturous. This is the theme of Hirschberg’s article. The two specific artistic troubles that rivet your attention in it are allied with but separate from the one of innate gifts and intrinsic suffering that Edmund Wilson explores. Other than his boyhood impression (a receptivity that bespoke his own dawning gift), what Hoffman focuses on are the existential difficulty of making his art and the emotional price of doing so. For art is made of emotion, is about emotion, and asks for an emotional response—and gets it first from the artist himself. I doubt the psyche can tell the difference, if there is one, between old pain rekindled for art’s purposes and pain imagined for a role about someone living and dying in despair. Like Willy Loman and Truman Capote, to name only two more of the indelible characters Hoffman brought to life. When Hoffman died, I recalled Heath Ledger’s similarly wrenching work and tragic fate. And the late James Gandolfini, who revealed that he entered therapy as a result of portraying the tortured mob boss in the Sopranos, and whose alarming weight gain in the role and his subsequent fatal heart attack seemed connected to it as well. Creating anything is hard. It’s a cliché thing to say, but every time you start a job, you just don’t know anything. I mean, I can break something down, but ultimately I don’t know anything when I start work on a new movie. You start stabbing out, and you make a mistake, and it’s not right, and then you try again and again. The key is you have to commit. And that’s hard because you have to find what it is you are committing to. . . .
On every film, you’ll have nights where you wake up at two in the morning and think, I’m awful in this. You see how delicate it is—a little movement to the right or the left, and you’re hopelessly hokey. With Capote, the part required me to be a little unbalanced, and that wasn’t really good for my mental health. It was also a technically difficult part. Because I was holding my body in a way it doesn’t want to be held and because I was speaking in a voice that my vocal cords did not want to do, I had to stay in character all day. Otherwise, I would give my body the chance to bail on me. Indeed it is. And I’ve learned there’s an interesting story about it. When Stevens was 19 he fell from his show business perch into a stark old ward of King Edward VII Hospital, in Midhurst, England, where he was told he had but weeks to live. It seemed he had a collapsed lung and was afflicted with tuberculosis. In three months there in a tiny barren room, with people all around him dying, he felt he’d spent his life asleep. In the nine months of bed rest at home that followed his survival and release, he wrote “Trouble” and dozens of other songs. 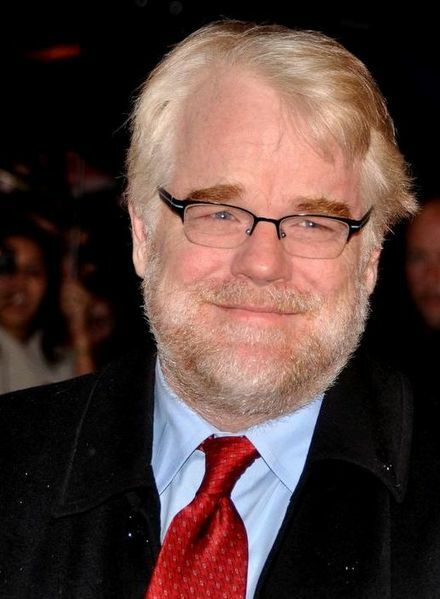 I’ll never be able to listen to “Trouble” without thinking of Philip Seymour Hoffman. Listening to it and thinking about his stunning work could make a body weep. I don’t remember why, but my plans for a third consecutive viewing of Synecdoche, New York got derailed. I was left wondering whether I could keep my lazy mind from wandering a bit where the film gets uber strange. Even though that’s where, or right after, it made my mouth fall open. How I remember those two kids in my class the winter of Synecdoche—how I tried to help them to make art from their wounds. Honestly, at first the girl’s distress surprised me. That’s it? The boy seemed fine—he was excited about his structure, modeled on the movie Crash—but hurt still lingered in her eyes. Maybe her father’s Sunday choice was enough; maybe it was emblematic. And I could not, I saw, put a scale to my students’ suffering and lessen hers in relation to his. Pain is pain. It knows no measure aside from what’s inside one breast. And this is why an artist’s authentic and therefore beautiful song, whether sprung from woe or joy, whether deeply personal or adapted, resonates for us all. Hi, Richard! Your sensitive and caring response to people and art alike is part of what makes your work so very much worth reading. I’ve only seen Hoffmann in passing, because I don’t have any good movie access here close at hand, and I can tell even from the clip you supply of Lester Banks that he is a special kind of actor. I always leave your site with the ambition to broaden my horizons and encounter whatever it is that you are recommending. I also have never run across E. Wilson’s book, which is now on my TBR list. You are without doubt a very good teacher, because I can’t imagine someone who is so able to put valuable material together as you do in your blog not being able to supply the same to his students. Thanks for the quality and authenticity of your site. How kind of you, Victoria. 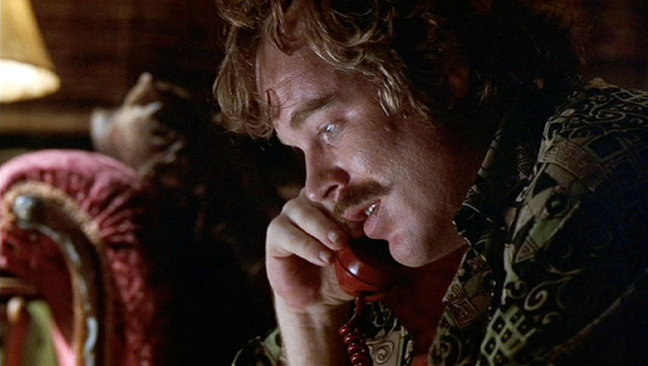 I think you’d really like Almost Famous; though Hoffman has a small part, he sort of makes the movie. Powerful piece, Richard. And so sad. Thank you, Darrelyn. I have been so upset I just had to write something. A most thoughtful review, Richard. Thank you. Thank you for reading and for taking the time to comment, Rosaria. Very moving…great piece. What a terrible, terrible shame. I was looking forward to more of PSH in the coming years. Hi Richard – what a beautiful piece! I listened as some blithering nabob on TV the other night said that the death of an addict is never a tragedy, and wanted to cry… If you’ve never seen “Pirate Radio,” check it out sometime. It’s a fine, very funny movie to begin with, but PSH elevated it into something truly sublime. 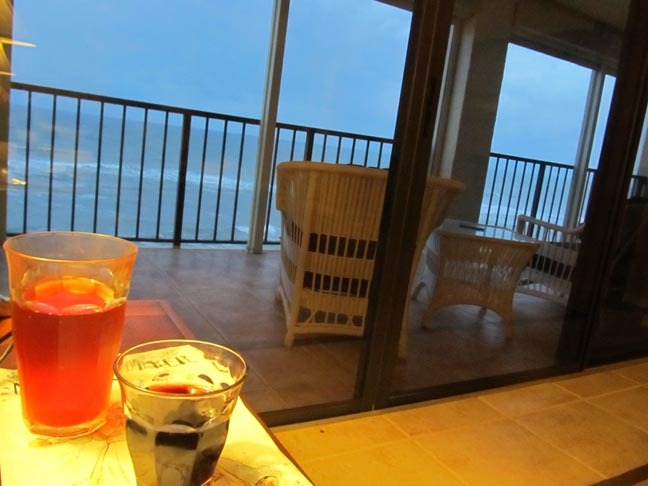 Thank you, Julie—there’s so much flying around, and of course as soon as I wrote this I read something like that, too, and since I know little about addiction or addicts felt overexposed. Anyway, all is fine here. And I’ll add Pirate Radio to the top of my cue! A subtheme you explore here is the link between suffering and the breakthrough of genius. We laid aside our briefly-worn cool-cat costumes a long time ago, we know suffering, we know loss, and we can’t help but count the cost. I don’t think I can watch it tonight, but I’ve queued up Synedoche-New York to watch tomorrow. I hope writing this amazing piece was cathartic for you, Richard. Thank you for it, and for the accompanying music. Thank you, Beth. I watched Synecdoche again today! Still amazing, so much to think about. By the way, looks like my WordPress link is broken. It should be http://Cubagirl.me. I’ll try to correct it here. Very nice new site, Beth.